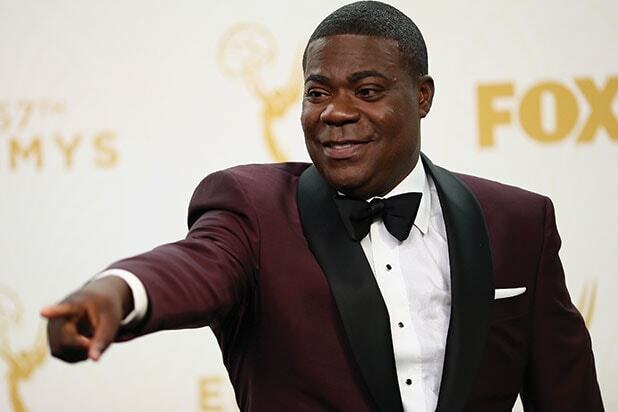 In a deal that could keep him out of jail, Kevin Roper — the Walmart truck driver who crashed into a vehicle carrying Tracy Morgan, seriously injuring Morgan and killing James McNair — pleaded guilty on Tuesday to vehicular homicide and four counts of aggravated assault, ABC News reports. Roper’s charges will be dismissed if he completes 300 hours of community service. He will also be allowed to enter a pre-trial intervention program. “The fortunate thing about this is he can go forward with his life. If he completes the program, the charges will be extinguished and he won’t have a criminal record,” Roper’s attorney David Glassman told reporters on Tuesday. Roper’s truck crashed into a limo van carrying Morgan, McNair and others on the New Jersey Turnpike in June 2014. He had been awake for more than 28 hours prior to the crash and was traveling 20 miles over the speed limit, according to the National Transportation Safety Board. Roper, who was initially charged with charged with one count of death by auto and four counts of assault by auto in the collision, pleaded not guilty in June 2014. Morgan suffered multiple injuries in the accident, including a broken leg, a broken femur, a broken nose and several broken ribs. He had been returning from a standup show in Delaware at the time of the crash. In addition to Morgan, comedians Ardie Fuqua, Harris Stanton and Jeffrey Millea were also injured.